write a wicked CV for New Zealand! In New Zealand, we call that document with your work experience and skills on a “curriculum vitae”, or much more commonly, a “CV”. Having one that stands out is essential when applying for jobs in New Zealand. Your CV in New Zealand should look different to the one you have back home, as the effectiveness of a CV differs from country to country, culture to culture. So drafting up a CV for your time in New Zealand is a must! With that in mind, we have put together this quick guide to create a CV that Kiwi employers love. 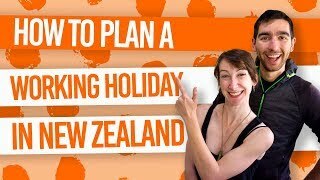 We recommend creating a New Zealand CV before you arrive in New Zealand so you can get this boring but essential task out of the way early. You will need to have the file on hand to edit while you are in New Zealand. Plus, if you are going to apply for a variety of job roles, which we fully recommend, then you will have to create multiple versions of your CV to stress relevant skills and experience. More on that below! How long should a New Zealand CV be? We’re glad you asked! In New Zealand, you won’t get penalised for having a CV that’s more than a page long. Kiwi employers like to get a good all round representation of your skills and experiences, which can take a couple of pages or even three. We recommend a CV that is 2-3 pages long. Now, we won’t go into the perfect New Zealand CV template, as you can find heaps of basic CV templates online, like these templates from Careers NZ. Where ever you look for templates, they will tell you the same thing: include your name, contact, work experience, skills, reference, etc. If you haven’t had much work experience, you’ll want to look up a ‘skills-based’ CV template. Start each job section with your job title (e.g. waiter, technician, retail assistant, etc. ), company name, location, and timeframe that you worked there. Write a short sentence that explains what the company did, as it is likely that the employer has never heard of the company, especially those from overseas. Now say what your role was and what you achieved there. Use bullet points to say each responsibility you had. Bonus: Keep these points in mind when it comes to creating your CV after your gap year too! Now that we have the basics out of the way, how can you make your CV effective in New Zealand? Well, Kiwi employers like to keep things relevant and simple. There’s nothing more off-putting than a huge chunk of text! Headline your CV with your name, phone number and email address. You don’t need your postal address. Keep your most relevant experience and skills to the top of your CV. Don’t worry about keeping everything in chronological order. You want the employer to instantly see that you have the skills and experience for the job, so put the most relevant parts of your CV first. Keep dates and locations simple. As a backpacker from overseas, it’s likely you’ll have worked overseas, so just put the country. For the dates, just state the month and year you worked in a particular job role, rather than specifying the exact day. Lose the personal statement. If you have a paragraph about how awesome you are and how you’re a “hard worker”, lose it! Show your work ethic and personality through a cover letter (if needed) and in the interview. Use key words. If you are responding to a written job application, stick key words from the job description into your CV. The last thing on your CV should be two or three references or “referees”. These can be past employers or tutors who can recommend you to future employers and put in a good word for you. That’s why it is always good to end your employment with someone on a high. Many Kiwi employers ask for references, so it’s good to have references and their contact details already on your CV. It also gives potential employers peace of mind to see you have contacts that you are confident will speak positively about you. Not putting any references would look a bit suspicious. A reference should state the name of the referee, their job role, company, phone number and email address. As it is likely that you have references from overseas, remember to add the phone number with the correct country code. For example, the New Zealand country code is +64. Speaking of phones, is your New Zealand phone number set up? You’ll need it for potential employers to contact you. Find out more at Will Your Phone Work in New Zealand? When sending a CV electronically, you want your potential employer to be able to open your CV on their computer and see exactly what you see: a clean-designed CV. The worst case scenario is that your CV is misaligned and looks a mess when someone else tries to open the file on their device. For these reasons, save two versions of your CV: as a .doc and .pdf file. To send to the employer, we prefer .pdf because it looks exactly the same no matter what device you open it on. To save a .pdf file using Microsoft Word, click on Save As then select PDF from the drop down menu. There may also be an option to ‘Export as a PDF’. You should also have a .doc version of your CV just for yourself so you can edit your CV. If you do, for whatever reason, send a .doc file to an employer or anyone to proof read, make sure the design is kept clean and simple. 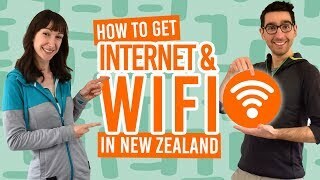 For tips on finding WiFi in New Zealand, see How to get Internet and WiFi in New Zealand. Don’t copy a CV. First of all, you would be lying on your CV, which would become apparent to the employer once they met you. Secondly, templates have been used so much that it would be instantly recognisable as a template. Don’t use pictures on your CV. Don’t use multiple fonts and colours. Don’t use family members as a reference, even if they have employed you. Don’t be negative (much like this list). Now go and get that job! Once you have a killer CV, follow these tips and tricks to land yourself a job in New Zealand.